This is a favorite of mine. 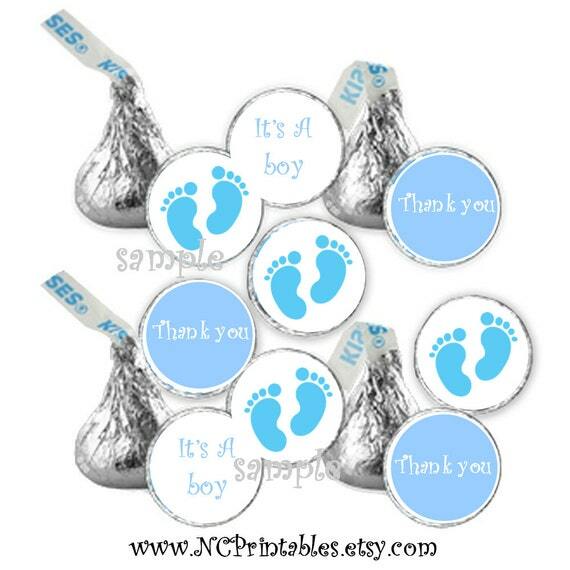 Love making favors for baby showers, gifts, and parties. These fund hershey kiss labels come already made and cut out for you on sticker paper. Just peel and stick to your item. They fit hershey kiss candies, rolo candies, and drink lids. I will make and mail to you within 2 business days of your order. If you need by specific date please be sure to let me know. Want any of them personalized with name or date-no trouble at all. But might take additional day for processing. ***Notice the www.NCPrintables.etsy.com logo on some-this is my etsy shop where I also sale these. Super fun for your next baby shower. 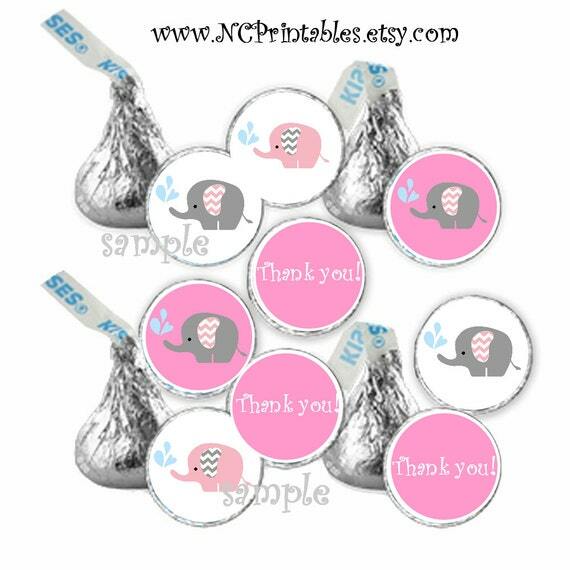 108 pre-cut stickers for Hershey Kiss candies, Rolo candies, or drink lids. Great little table favors. ﻿Super fun for your next baby shower. 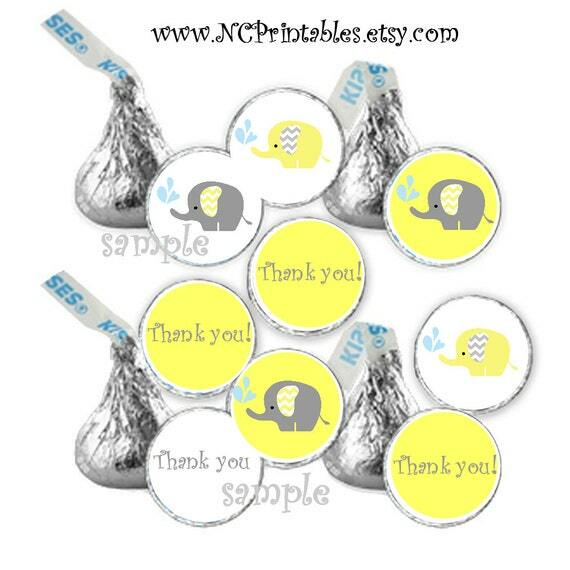 108 pre-cut stickers for Hershey Kiss candies, Rolo candies, or drink lids. Great little table favors. ***Can be changed for birthday upon request. 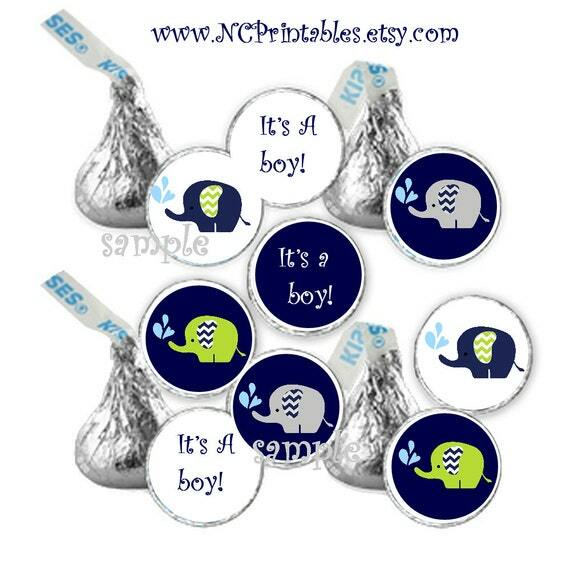 ﻿Share these adorable stickers with friends and guests at any baby shower. Add to table decor or favor bags. 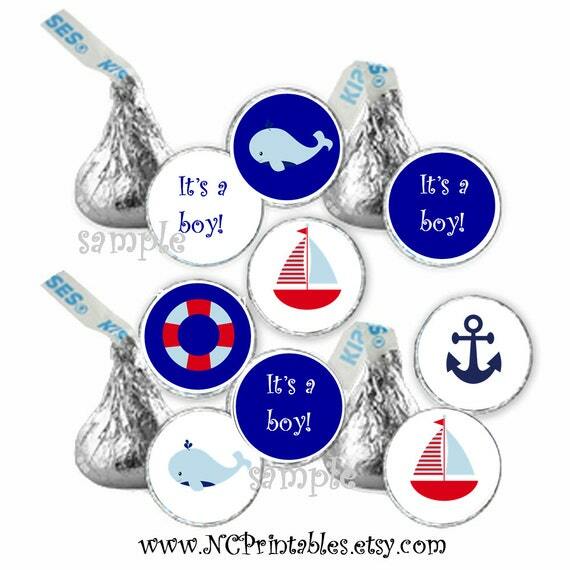 ﻿108 adorable stickers for hershey kiss, rolo candies, or drink lids. Makes great table decorations or favor bags. ﻿Share these fun stickers with all your guest at your next shower or party. Fits hershey kiss candies, rolo candies, and drink lids.